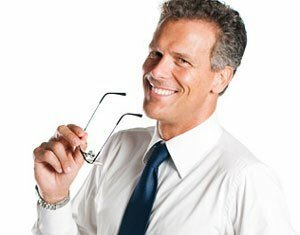 When you ask a male what he looks for in men's prescription eyeglasses, you may expect him to answer, "style." Actually, men look to other things when buying new glasses for vision correction. The top three requirements appear to be that they are comfortable, durable, and fit properly. Style is important also, but it falls in fourth behind the above factors. Fit and comfort are more important than looking good in a man's eyes. Often it will be a female figure in the male's life who chooses the frame color or style once other requirements have been met. 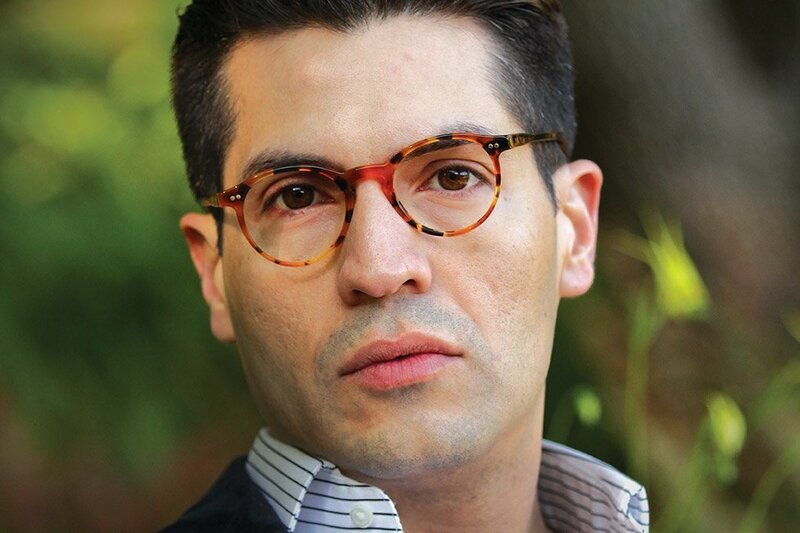 Style is not necessarily the top factor when selecting eyeglasses for men. A survey concerning men's prescription eyeglasses was done by The Vision Council. Approximately 88% said comfort and fit were at the top of their list when choosing new frames. Another 59% considered durability as very important in a frame. Other features that men look for when choosing new eyeglass frames include spring hinges and flexible frames. 52% felt spring hinges were very important as they prevented the frames from being stretched. Another 50% felt flexibility in frames was very important as it helps to prevent breakage. Each male is different though, so only you can say which features are most important to you. As comfort and fit are high on the list of things that are important in men's prescription eyeglasses, here are some things you should look for. Make sure the frames easily accommodate the width of your face. This prevents the temples from digging into the sides of your head. Look for frames in which the edges extend slightly beyond the face. By doing so, you can ensure that the temples won't brush your head when extending back toward the ears. Take this a step further and make sure the temples are the appropriate length. Your optician may be able to order a variety of lengths as well as styles. Don't hesitate to ask. When the frames fit properly, the curve found at the temple's end needs to extend over your ear. However, the curve should not press down. If it does not fit correctly, ask your optician to reshape and/or adjust it. This adjustment may be made, but the length cannot be changed, so ensure that is right before you order the frames themselves. Check to make sure the nose piece is comfortable and fits properly. Many men's prescription eyeglasses now come with silicone pads that are adjustable. If this is not the case with the pair you wish to purchase, check the fit at the bridge of the nose. It should be secure without pinching. Move your head around while wearing the frames. Do a number of things that you do normally throughout the day. This may include bending down and picking something up or exercising. Make sure your glasses stay in place no matter what you are doing. The glasses should not press on your face. If durability is your main concern when purchasing men's prescription eyeglasses, it is best to choose a frame made from flexible materials, stainless steel or titanium. Flexon, which is a titanium based alloy, retains it shape even after being bent, twisted or crushed. Stainless steel and titanium cannot say the same, but they do tend to be stronger and hold up better than frames made of other materials. No frame is indestructible though. 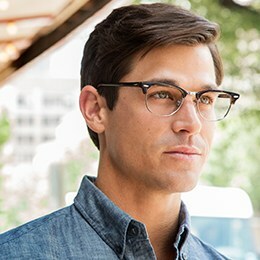 Men who prefer masculine men's prescription eyeglasses should choose a frame with a double brow-bar or an aviator style. Both have been popular for some time and every man can look good in them. Others who wish to have glasses which are bold and large are in luck. This type of frame is back in style. Be advised that if your face is on the small side, you can go too big. It may be better to wear glasses such as those made famous by John Lennon. Plastic frames are popular among those who prefer a retro or hip look. This type of frame is very comfortable and lightweight. Choose from thin plastics, black frames and layered looks. Tortoise patterns show no signs of becoming dated either. If you want your glasses to basically disappear when you are wearing them, choose rimless or semi-rimless frames with anti-reflective lenses. Screws or a nylon wire hold the lenses in place for a modern look. They are very attractive and both sexes love them.